Writing smart, opinionated cultural commentary for the general reader, as Meghan Daum does for the Los Angeles Times, is like campaigning against a popular incumbent: He barely notices you, so your best hope is to make him mad. 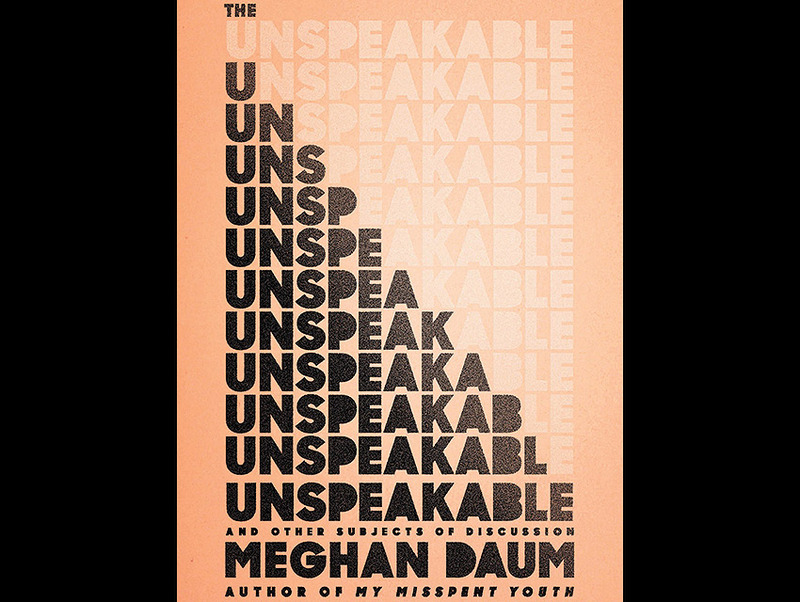 The Unspeakable, Daum’s book of original, self-lacerating essays—on subjects like almost hating her mother, almost having a child, and almost dying—is a sharp reminder of what a gift to the city she is. In her unrepentant defense of not cooking, she exhibits her characteristic wisdom: “If you’re good at something, do it a lot. If you’re bad at something, just don’t do it.” Daum is brilliant at probing the shared taboos of a society that thinks it has none. She should trust her Times readers to appreciate the intelligence that’s so robustly on display in The Unspeakable.